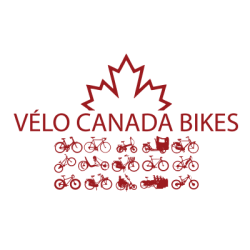 Canada Bikes is a growing and dynamic organization providing a strong national voice for everyday cycling in Canada. Our vision is straightforward: We envision a Canada where people of all ages and abilities can cycle safely, conveniently and enjoyably to/from/within any community in the country. We have identified two high priority strategies to help Canada achieve this goal: the adoption of a national cycling policy for Canada and the creation of a federal cycling infrastructure fund. Why? We know that the many far-reaching benefits of cycling clearly justify the rapid construction of the quality infrastructure networks that guarantee safety and convenience. Countless opinion surveys have made it clear that Canadians will use it. Finally, we know that countries that enact the right mix of coordinated policy and funding at the highest level become countries where riding a bicycle is both safe and popular. Cycling in Canada is ripe for a meteoric rise. Canada Bikes is made possible through the efforts of a volunteer board and passionate staff. We would like to do more. You can also support our work anytime by becoming a member or making a donation. 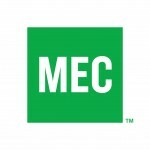 Please visit our member page to learn more. Remember to learn about your local or provincial cycling organization and get involved. Cycling makes Canada better. Support the important work we do. Make a Donation.